Build Your Customer Knowledge. Build Your Business. Mobile Surveys provide a direct link to your customers and their thoughts, attitudes, and behaviors. Unlike traditional surveying methods, Mobile Surveys meet customers where they are, so the insights you receive are more relevant and accurate. 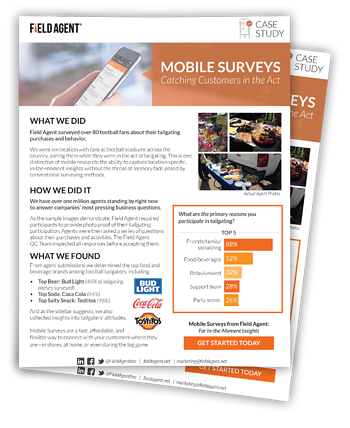 See how we used our Mobile Research platform to visit tailgating parties across the country and survey football fans about their game day behaviors and brand preferences. Field Agent collects insights during the moments that matter most to your business. We crowdsource smartphones to connect with customers “in the act,” while shopping in stores, using products at home, or engaging in practically any other activity. So you can be in the moment with customers. Mobile research is fast and can often produce results in a matter of hours. 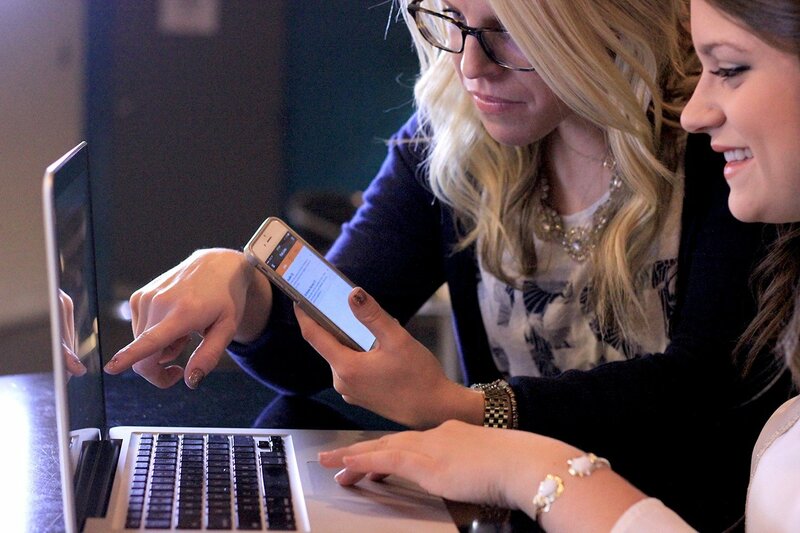 Think mobile for instant insights. Anywhere, anytime. Be in sync with the shopper and never leave your chair. 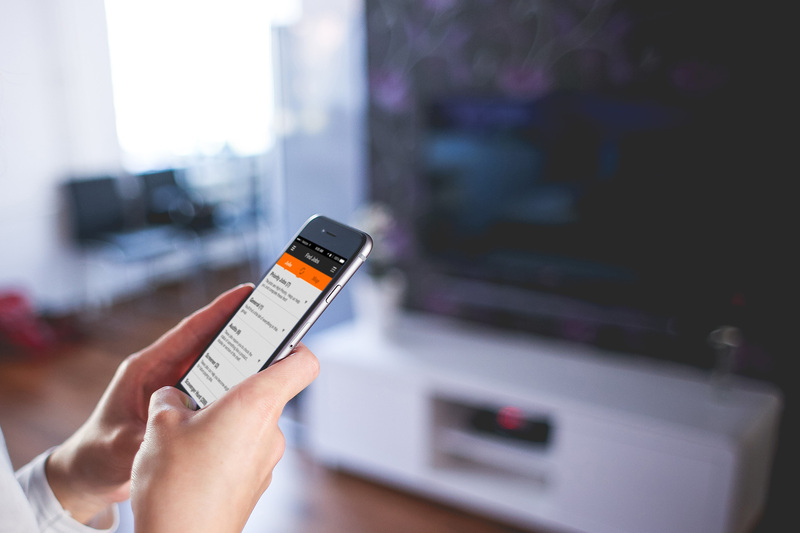 With Mobile Research, insights come to you, so you can monitor shopper perceptions with ease. Mobile Research combines the efficiencies of smartphone technology and crowdsourcing to collect instant information and insights more affordably.